You might not know this, but Welbeloon Farm is the other half of Goedgedacht and we are absolutely over joyed about how well we did at the recent regional Western Cape Prestige Agri Awards. These awards are presented annually by the Western Cape Department of Agriculture in partnership with Shoprite, to recognise agricultural workers’ valuable contribution to the sustainable growth of the South African agricultural sector. Well done Welbeloon staff, you did so well! Not only that, but we also won the category Best Performing Farm! We are so grateful for everyone on Welbelooon who works so hard every day to fund our Path onto Prosperity Programmes in our 9 Youth Centres and they deserve this wonderful award. 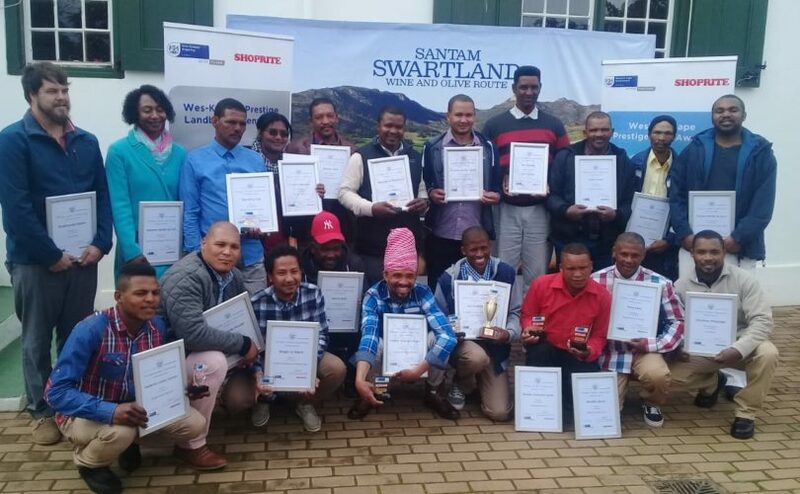 The Swartland’s category winners will compete against the other Western Cape regional winners, after which the overall Prestige Agri Awards winners will be announced at a gala event later this year. Good luck to Welbeloon!